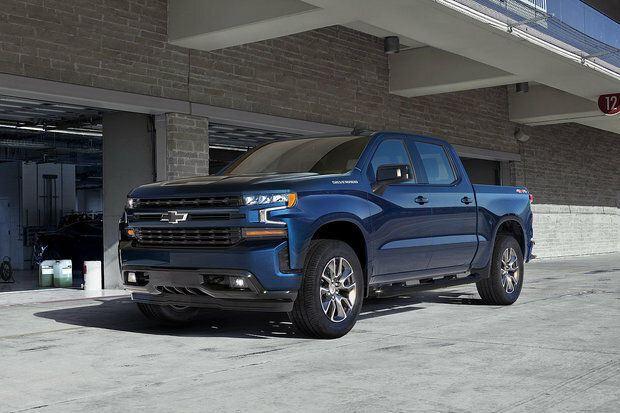 The 2019 Chevrolet Silverado has been completely redesigned from the ground up with impressive technologies, a more muscular frame, technology improvements and much, much more. 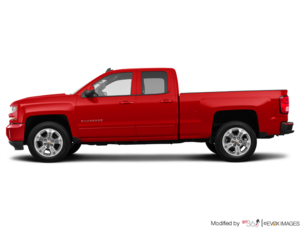 There are also notable improvements under the hood that make the 2019 Chevrolet Silverado one of the most impressive pick-ups you can buy. The 2019 Silverado features two proven and very capable V8 engines with its 5.3-liter and 6.2-liter offerings. That said, a new turbocharged four-cylinder engine is making headlines as it becomes available on Chevrolet’s brand-new full-size pickup. This new 2.7-liter unit is a first for the Silverado and replaces the outgoing V6 engine. More advanced and refined in every way, this engine gives Silverado owners power and capability with an average fuel economy they can live with. The 2019 Chevrolet Silverado’s 2.7-liter turbocharged four-cylinder has an average fuel economy rating of just 11.9 liters per 100 kilometers in the city, and 10.3 liters per 100 kilometers on the highway. In other words, this means that the 2019 Silverado has 11 percent better fuel economy than the 4.3-liter V6 while also being faster to get to 100 km/h thanks to its impressive 310 horsepower and 348 pound-feet of torque. That’s more power than both the entry-level Ram V6 or the Ford F-150’s 3.3-liter V6 engine. Capable of towing up to 7,200 pounds and reaching 100 km/h in less than 7.0 seconds, this new engine also gives the new Silverado a 1,043-kilogram payload. 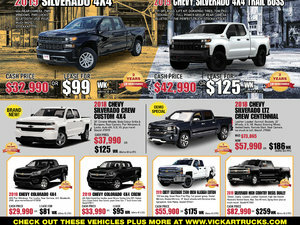 To learn more about the 2019 Chevrolet Silverado and its impressive new entry-level engine, contact us today at Vickar Chevrolet!